Daniel J. Murphy - dmurphy@shawmedia.com Dundee-Crown and Crystal Lake Central warm up before the game Friday February 24, 2012 at Crystal Lake Central High School in Crystal Lake. 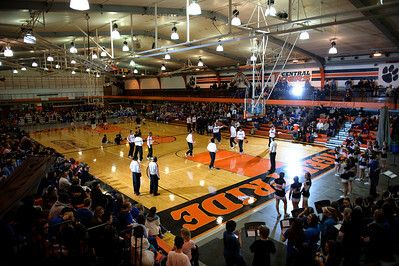 Crystal Lake Central defeated Dundee-Crown 61-45. 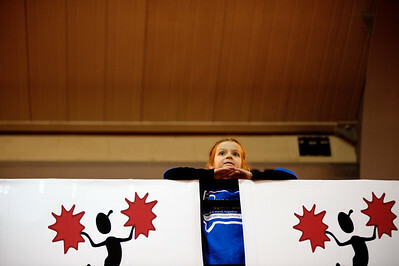 Daniel J. Murphy - dmurphy@shawmedia.com Madelyn Stromborn, 6, of Crystal Lake watches Dundee-Crown warm up before the game Friday February 24, 2012 at Crystal Lake Central High School in Crystal Lake. Crystal Lake Central defeated Dundee-Crown 61-45. 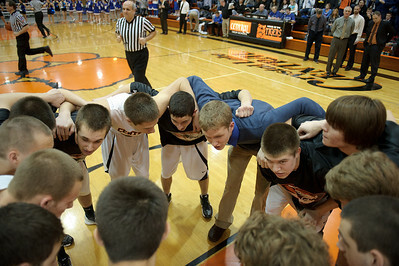 Daniel J. Murphy - dmurphy@shawmedia.com The Crystal Lake Central boys basketball team huddles up before facing Dundee-Crown Friday February 24, 2012 at Crystal Lake Central High School in Crystal Lake. Crystal Lake Central defeated Dundee-Crown 61-45. 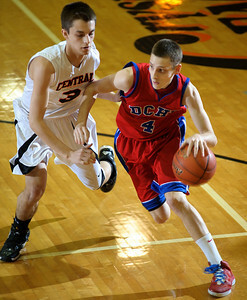 Daniel J. Murphy - dmurphy@shawmedia.com Dundee-Crown's Will Stupar (right) moves past Crystal Lake Central guard Chase Cane in the first quarter Friday February 24, 2012 at Crystal Lake Central High School in Crystal Lake. Crystal Lake Central defeated Dundee-Crown 61-45. Daniel J. Murphy - dmurphy@shawmedia.com Crystal Lake Central's Corban Murphy (right) dribbles past Dundee-Crown's Brondon Rodriguez (left) in the third quarter Friday February 24, 2012 at Crystal Lake Central High School in Crystal Lake. Crystal Lake Central defeated Dundee-Crown 61-45. Daniel J. Murphy - dmurphy@shawmedia.com Dundee-Crown and Crystal Lake Central players fight for a rebound in the first period Friday February 24, 2012 at Crystal Lake Central High School in Crystal Lake. Crystal Lake Central defeated Dundee-Crown 61-45. 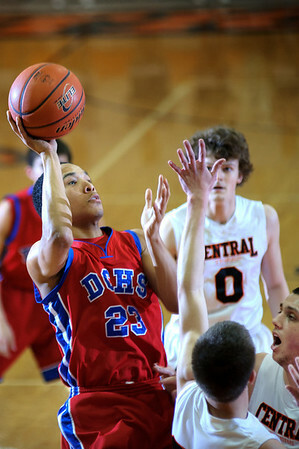 Daniel J. Murphy - dmurphy@shawmedia.com Dundee-Crown's Brandon Rodriguez attempts a basket over Crystal Lake Central defenders in the first quarter Friday February 24, 2012 at Crystal Lake Central High School in Crystal Lake. 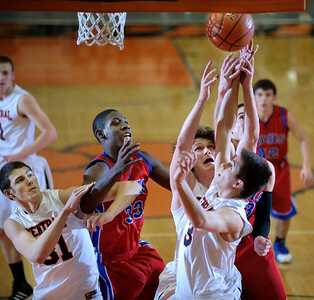 Crystal Lake Central defeated Dundee-Crown 61-45. 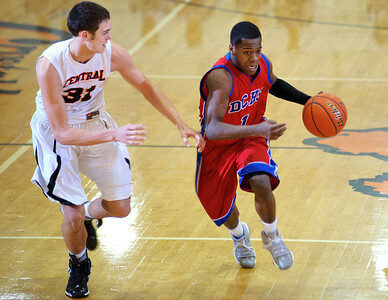 Daniel J. Murphy - dmurphy@shawmedia.com Dundee-Crown's JT Beasley (right) runs up the court alongside Crystal Lake Central defender Kyle Fleck (left) Friday February 24, 2012 at Crystal Lake Central High School in Crystal Lake. 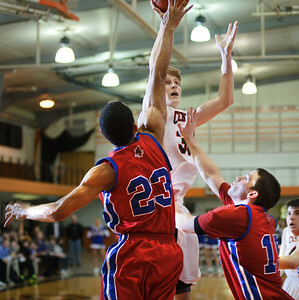 Crystal Lake Central defeated Dundee-Crown 61-45. 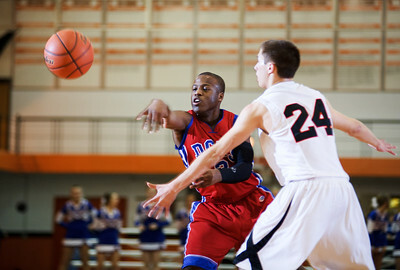 Daniel J. Murphy - dmurphy@shawmedia.com Dundee-Crown's Cordero Parson passes the ball to a teammate in the second quarter Friday February 24, 2012 at Crystal Lake Central High School in Crystal Lake. Crystal Lake Central defeated Dundee-Crown 61-45. 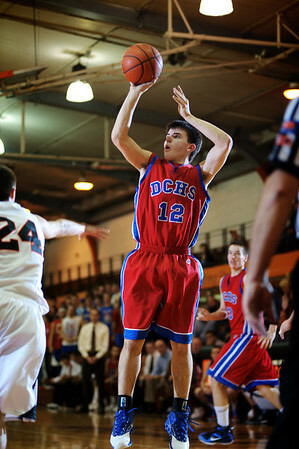 Daniel J. Murphy - dmurphy@shawmedia.com Dundee-Crown's Kyle Bernhard puts up a jump shot in the second quarter against Crystal Lake Central Friday February 24, 2012 at Crystal Lake Central High School in Crystal Lake. Crystal Lake Central defeated Dundee-Crown 61-45. 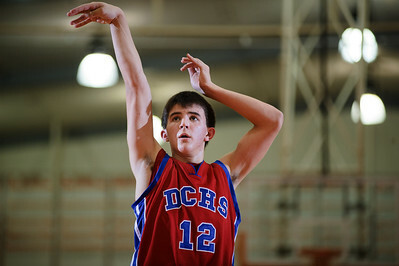 Daniel J. Murphy - dmurphy@shawmedia.com Dundee-Crown's Kyle Bernard sinks a free-throw in the second quarter Friday February 24, 2012 at Crystal Lake Central High School in Crystal Lake. Crystal Lake Central defeated Dundee-Crown 61-45. Daniel J. Murphy - dmurphy@shawmedia.com Dundee-Crown's Brandon Rodriguez (left) breaks away from Crystal Lake Central defender Vinnie Inzerillo (right) in the first quarter Friday February 24, 2012 at Crystal Lake Central High School in Crystal Lake. Crystal Lake Central defeated Dundee-Crown 61-45. 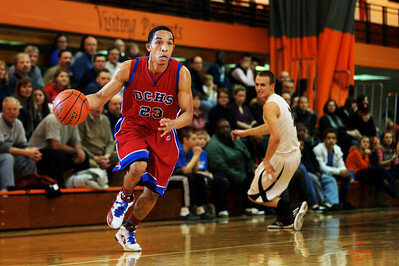 Daniel J. Murphy - dmurphy@shawmedia.com Dundee-Crown's Brandon Rodriguez sprints to the basket in the second quarter Friday February 24, 2012 at Crystal Lake Central High School in Crystal Lake. Crystal Lake Central defeated Dundee-Crown 61-45. 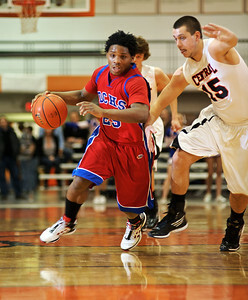 Daniel J. Murphy - dmurphy@shawmedia.com Dundee-Crown's Will Stupar makes a move past to the basket in the second quarter Friday February 24, 2012 at Crystal Lake Central High School in Crystal Lake. Crystal Lake Central defeated Dundee-Crown 61-45. 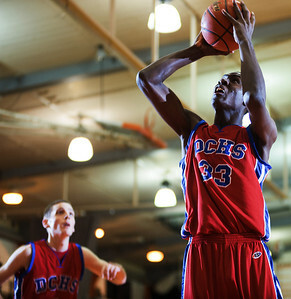 Daniel J. Murphy - dmurphy@shawmedia.com Dundee-Crown's Brandon Gordon puts up a basket in the second quarter Friday February 24, 2012 at Crystal Lake Central High School in Crystal Lake. Crystal Lake Central defeated Dundee-Crown 61-45. Daniel J. Murphy - dmurphy@shawmedia.com The Crystal Lake Central dance team performs at halftime Friday February 24, 2012 at Crystal Lake Central High School in Crystal Lake. Crystal Lake Central defeated Dundee-Crown 61-45. Daniel J. Murphy - dmurphy@shawmedia.com Dundee-Crown's Will Stupar scores a jump shot in the second quarter Friday February 24, 2012 at Crystal Lake Central High School in Crystal Lake. Crystal Lake Central defeated Dundee-Crown 61-45. Daniel J. Murphy - dmurphy@shawmedia.com Crystal Lake Central's Kyle Fleck (left) moves past Dundee-Crown's Brandon Gordon (right) for a basket in the third quarter Friday February 24, 2012 at Crystal Lake Central High School in Crystal Lake. Crystal Lake Central defeated Dundee-Crown 61-45. Daniel J. Murphy - dmurphy@shawmedia.com Crystal Lake Central's David Panicko (center) shoots over Dundee-Crown defenders Brandon Gordon (left) and Thomas McNally (right) in the third quarter Friday February 24, 2012 at Crystal Lake Central High School in Crystal Lake. Crystal Lake Central defeated Dundee-Crown 61-45. 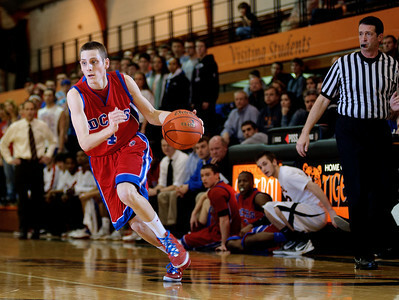 Dundee-Crown's Will Stupar makes a move past to the basket in the second quarter Friday February 24, 2012 at Crystal Lake Central High School in Crystal Lake. 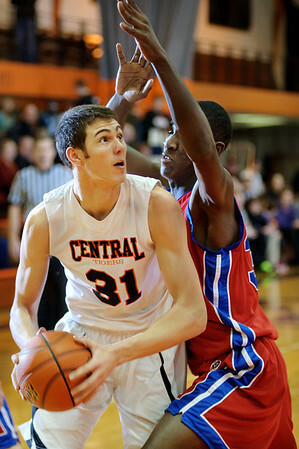 Crystal Lake Central defeated Dundee-Crown 61-45.